In the early 1990s, John Conway, President & CEO of Ananke IT Solutions, worked with severely abused children in a residential treatment center. It was a life changing experience and since then abused children have held a special place in his heart. Each year John has looked for ways to make a positive impact to these children's lives. Four years ago Ananke teamed with Dr. Anait Azarian and formed The Ananke Giving Tree. For the past four years, Ananke, local businesses, and friends have donated time, money, and a lot of heart to provide these children with a full spread buffet, warm clothes, toys, and stockings filled with goodies. And every year, each child is given a keepsake ornament, engraved with their name. The delight on each of their faces is truly a wonder-filled event. Dr. Ana is a child psychologist who has dedicated her career to helping children who suffer from traumatic stress disorders caused by various types of abuse. Many of these children are under state care, live in group homes, foster care, and in situations that are far from ideal, especially around the holidays. Please join us this holiday season in providing less fortunate children from our community with food, clothes, toys, hope, and a joyous celebration. 100% of your donations go to the children. We are delighted to again partner with Dr. Ana to celebrate the 4th Annual "Christmas at Richmond Square". The approximate cost to sponsor one child is $100.00. 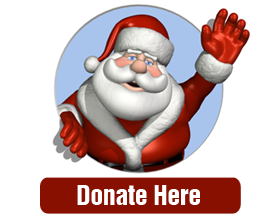 Our goal this year is to provide for as many children as possible, through each of your generous donations. 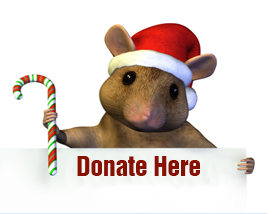 All donations, of any size, are a tremendous help and are very welcome. 100% of every donation goes to the children.